Running the emotional spectrum over the course of five dreamy tracks, Fragile Animals manage to capture themselves accurately for perhaps the first time. Their cocktail of moody and melancholic melodies, the layering of shimmering guitars and raw lyrical themes have struck a chord with indie music lovers the world over. 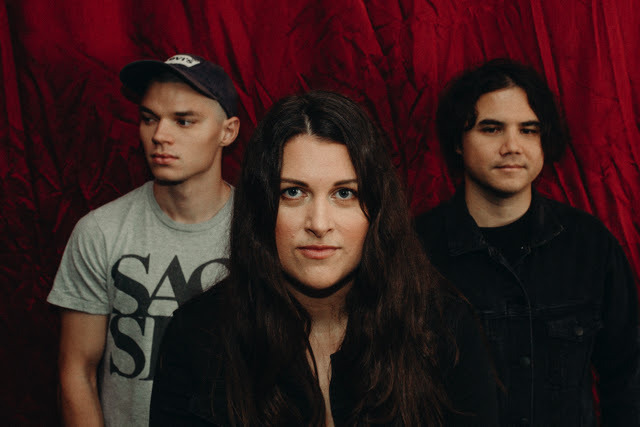 Singer/bassist Victoria Jenkins says of EP's lyrical themes: "Even though each of the songs is a little different lyrically they each carry a feeling of chasing something that's out of reach. A lot of the time I feel like what I want, and where I want to be, is just out of reach and that comes through a lot in my lyrics." In the short 12 months since their inception, they've already released a debut EP, played the Big Pineapple Festival and collected accolades by the dozen. They've drawn comparisons to the likes of Hatchie, Wolf Aliceand Tired Lion and earned a place as a shortlisted semi-finalist in the International Songwriting Competition. Recorded with burgeoning producer Elliot HeInrich (Ayla, High Tropics, Future Jr), the EP is as understated as it is captivating - part indie pop, part shoegaze paragon. Metaphorically speaking, the music blatantly refuses to smack you in the face, instead opting to seep subtlety into your psyche. The hooky melodies of Victoria Jenkins provide the glorious substance. "Sometimes the choice to make music feels quite shallow," she says. "You spend endless amounts of time agonising over tiny details, and in the grand scheme of things a song is insignificant. But at the same time, music can be so powerful and meaningful in peoples lives. I hate to imagine the world without music. For us it's all we want to do and that's where the title "Only Shallow//Only More" comes from - the two contrasting sides of making music." On the back of their debut EP, they've shared stages with Violent Soho, Cub Sport, Dune Rats and Polish Club. They'll be supporting their EP release with a bunch of shows up and down the east coast in the coming months, including a home show at Solbar tonight, supporting The Tommyhawks, along with Something Something Explosion.